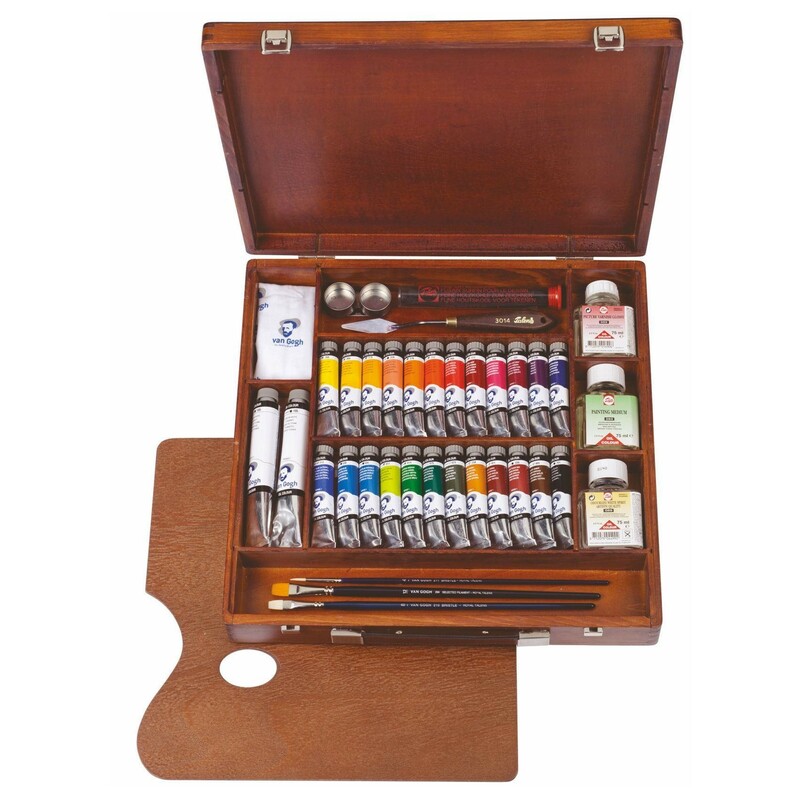 Royal Talens the manufacturers of the van Gogh range of oil paints. All the colours are made to high standards giving the pain and easy mixing consistency and depth of colour. all colours have practically the same degree of Sheen and thickness. The nice thing about the van Gogh range is they come in series 1 and 2 which is unusual for a studio student level paint. But does mean there are 63 colours in the range is there are able to offer the more expensive colours. The pigmented finely ground. All colours have a good to excellent light fastness also ensures the cover retention is in the long term. 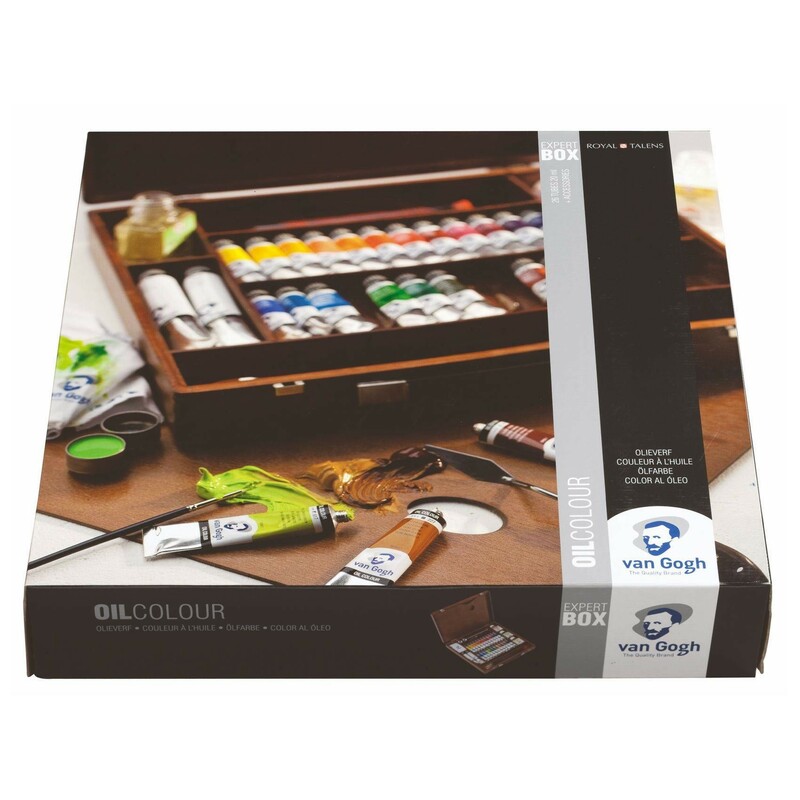 The van Gogh oil colour expert box set not only looks beautiful has been well thought through with the range of colours and mediums of equipment to get with the set. 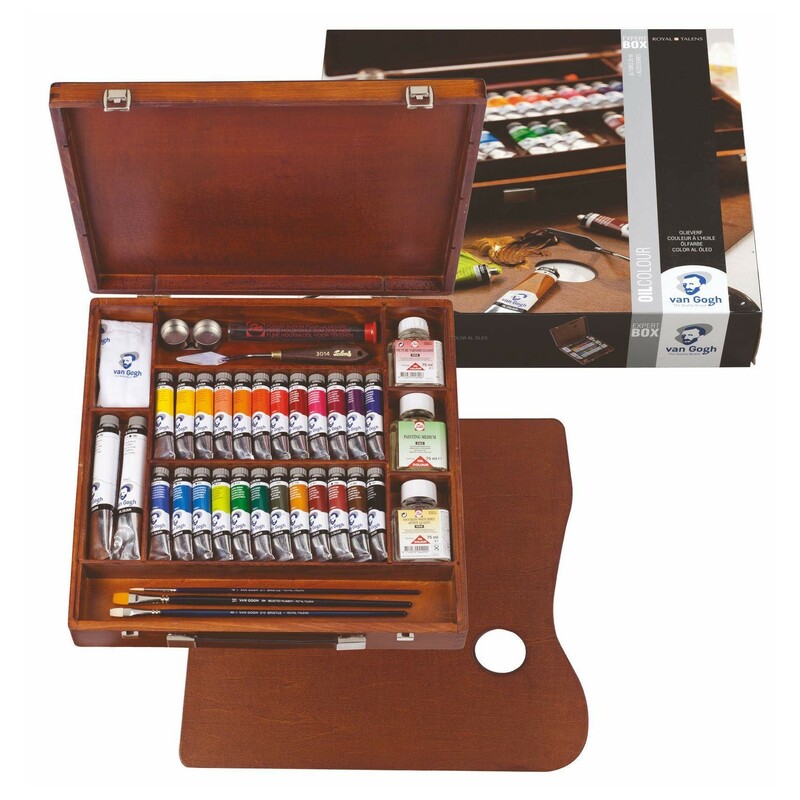 If you wanting to treat somebody who is really getting into oil paints this set is ideal for any beginner and even some big professionals as you won't need much more other than a canvas to get yourself started. When we are choosing the brands that we wanted to sell the Royal Talens range of van Gogh and Rembrandt oil paints were high list. Like the Sennelier studio oils the Van Gogh student range are a step above the norm. Made to the highest standards using high quality pigment ground to a smooth consistency colour. 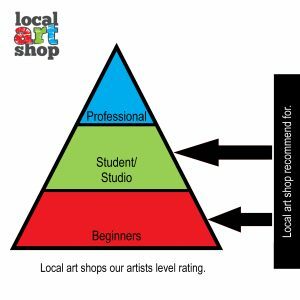 We highly recommend these paints to any budding young artists trying their hand at oils to find the colour stronger and more popular brands. Being oil painters ourselves we are totally biased to the paints we sell.